Trails run along many active rail lines to provide transportation, access to transit, and recreational opportunities for thousands of Americans. There is also a growing number of former rail lines being converted into multi-purpose public paths. Safety should always be the primary concern when developing a rail-with-trail. Illuminating rails is one of the ways to make the trail safe and more convenient to use at night. Let’s look at each player, the benefits/costs of each, and the overall quality of each type of lighting solution. There’s a myriad of factors influencing lighting choices, such as trail location and features, overhead clearance, weather, soil content, etc. Wired lights. Wired lighting is a costly decision. If well-designed and high quality, wired lighting can be easy to maintain and operate. However, it is expensive to install and complicated to repair. The wires could be strung overhead or underground. Underground wiring is expensive but durable since it will not be damaged by poor weather conditions. While cheaper, overhead lighting is more vulnerable to weather-able conditions. Battery powered lights. This option is the cheapest to install and repair but difficult to maintain since the batteries may need to be frequently replaced. If dead batteries go unnoticed, trail users have to face a dark section and their safety is jeopardized. For this reason, battery-powered lights are practical only on high-traffic trails, where a dead battery is likely to be replaced promptly. Solar trail lights. These lights are powered by the sun so they are the most environmentally conscious solution. When solar trail lights are installed in more sunny regions, they are sure to operate at maximum strength. This system also has little to no cost of operation, drastically reducing cost. Because there are no wires connecting solar lights, repairs are contained to a single fixture at a time, making repairs easy and time efficient. LEDs. In comparison to standard incandescent bulbs, LEDs are extremely energy efficient and need very little power to generate light. They do have a higher initial cost but have an exceptional operational lifetime. Therefore, LEDs can provide huge long-term savings. Reflective striping. Trails with dark spots and limited night use may benefit from the striping, which is the addition to the already existing lights. These white, flat and narrow reflectors can increase the amount of light and are especially useful if a trail is near a lit street. To develop a secure and accessible bicycle, pedestrian, and trail system, consult a professional who will plan out a proper design strategy. The implementation will help create a safe environment for trail users and rail operators. Trail lighting that is well-placed, properly installed, and regularly maintained can enhance visibility, improve overall trail access, and convenience for users, supplying a sense of security while using the trail from dusk till dawn. Unlike highway lighting, trail lighting should be done on a small scale and only when necessary. Fixtures should shed light only on the path below. Preferably, there should be no glare or loss of light. In some cases, bollards would cast just enough light. Wired lighting poses a challenge due to difficulties in tracking and repairing outages. A whole string of lights could go out when initially only one is the problem. With solar lighting, these problems can be avoided. Solar trail lights are practical because of their long lifespan, low cost, and maintenance. They can last for many years of stable operation if they are well cared for. Solar trail lights are an efficient, green and economical solution. They are a sustainable solution for well-lit spaces since they are built to last. Reliable and cost-effective, solar lighting provides energy savings and contributes to the safety of anyone going jogging at night, cycling after dinner or taking an early-morning walk along a rail. 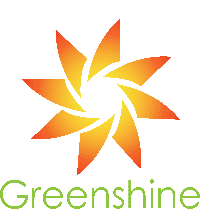 At Greenshine New Energy LLC., we specialize in developing and manufacturing solar street lights, garden light, path light, park lights and lawn lights for outdoor applications. Our solar lighting solutions work on innovative technology to provide communities with top-notch solar trail lights at competitive prices and free of maintenance. Next Post Which Industries Can Benefit From Solar?